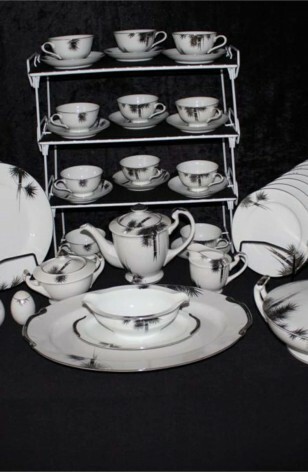 Vintage - Exquisite Kutani China Dinnerware Set - Platinum Bamboo Tree Pattern Beautifully hand painted in Japan between 1950 to1952. 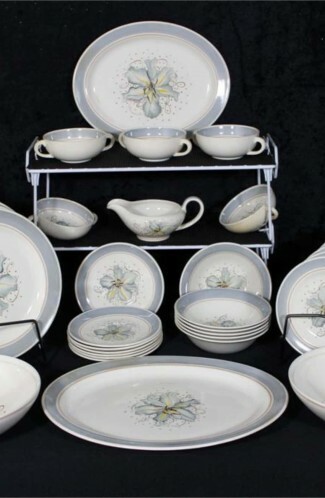 A Full Dinnerware Service for (12) that inlcudes (97) Pieces. 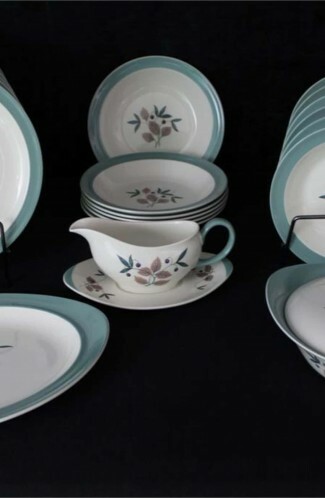 A Rare Pattern, unable to yet locate the actual Pattern Designation. The Background is Pure White with Platinum Split Bamboo Tree, and Platinum Rim. 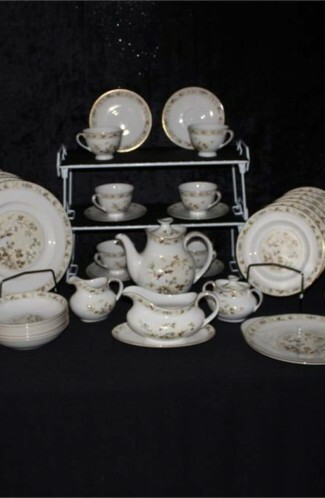 Set was purchased in Japan in 1952 by previous owner. Absolutely in Great Resale condition. Very loved, and cared for over the years. 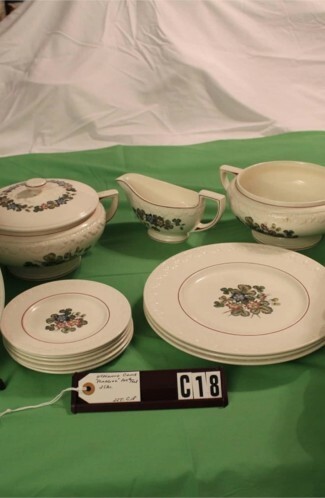 12 - Salad Plates - 7 1/2"
12 - Fruit/Dessert/Sauce Bowls - 5 1/2"
12 - Soup Bowls - 7 1/2"